I love this song! It's unbelievable, you can really feel his pain in his voice. The lyrics are well written. it is so true that you can love someone so much that they take your breath away and leave a hole in your heart. I think he's singing about loving someone who doesn't love you anymore and the pain can almost kill you. It's beautiful it really does take the breath right out of me. Whenever I hear this song it fullfills me. One of my all time fave songs, Ben's voice just sends chills down my spine. 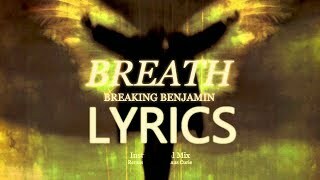 Breaking Benjamin is the BEST!